The Cotroceni National Museum, in collaboration with the Romanian Cultural Institute "Mihai Eminescu" in Chisinau, organized on Thursday, March 22, 2018, at 15.00, at the National Museum of History of Moldova, the opening of the exhibition "The Great Union. From Victory in World War I to the Coronation of the Great Romanian Sovereigns", a photo-documentary project that is part of the series of cultural events that the Cotroceni National Museum dedicated to the Centenary of the Great Union. 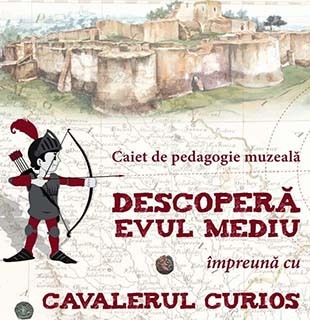 After Brașov, Iaşi and Galați, the Cotroceni National Museum aims to display this exhibition outside the borders of Romania. Symbolically, the international travel of exhibition "The Great Union. From Victory in World War I to the Coronation of the Great Romanian Sovereigns" begins in Chişinău, in the context of the celebration of the 100th anniversary since the Union of Bessarabia with Romania. 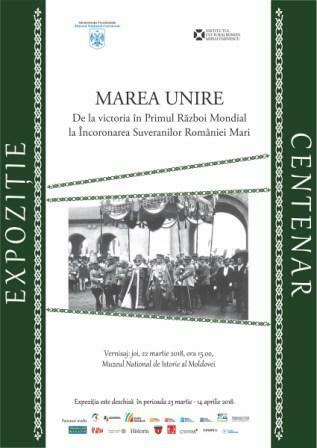 Through this exhibition, the Cotroceni National Museum highlights the role of the Royal Family of Romania in accomplishing the national unity of the Romanian state. In addition to photographs portraying King Ferdinand and Queen Maria on the front of the Great War, the audience will also see original images from the collections of the Cotroceni National Museum, captured at the return of the sovereigns in Bucharest during the peace talks or the crowning ceremony at Alba Iulia from 1922. The exhibition will be open to the public in the hall on the ground floor of the National Museum of History of Moldova from March 23 to April 14, 2018.